I am thrilled to announce that I have been awarded an ERC Starting Grant for a large five year philosophical research project on affordances and skilled action! Many thanks to the colleagues and friends who gave feedback on my draft proposal and presentation as well as all the co-authors on the different articles that have laid the foundation for this new step! It is often assumed that the increasingly influential paradigm of embodied/enactive cognitive science (Chemero, 2009; Noë, 2012; Thompson, 2007; Di Paolo, Rohde,& De Jaegher, 2013) has sensible things to say about so-called ‘lower’ cognition (say grasping a glass or riding a bike), but not about ‘higher’ cognition (say using creative imagination or comforting a sad friend). It is thought that embodied/enactive cognitive science can deal only with the immediately present environment but not with the absent or the abstract, such as for example a plan for a new building. I believe these dichotomies are largely artificial (Rietveld & Brouwers, forthcoming). Much of what others have characterized as ‘lower’ cognition and ‘higher’ cognition, can actually be regarded as skilled activities (Ingold, 2013; Noë, 2012) situated in socio-cultural practices (Wittgenstein, 1953; Rietveld, 2008a, Mind). I seek an account of such situated skilled activities that is more unified than the dichotomy it replaces. These skilled activities are best understood as responsiveness to affordances. Affordances are possibilities for action provided to us by the environment (Gibson, 1979; Chemero, 2009; Reed, 1996; Costall, 1995; Heft, 2001). I have suggested that affordances are also significant for cases of ‘higher’ cognition (Rietveld & Kiverstein, 2014; Rietveld, 2008a; Klaasen, Rietveld & Topal, 2010; see also Rietveld & Brouwers, forthcoming, for ethnographic observations that support this idea.). If we want to understand the relation between mind and world, skilled intentionality is crudial (Rietveld, 2013; Bruineberg & Rietveld, 2014), because it is the kind of intentionality that characterizes most of the things individuals do in everyday human life, in skilled animal actions (Ingold, 2001) and in expert activities. I have defined skilled intentionality as the simultaneous coordination with multiple affordances (Rietveld, 2013; Bruineberg & Rietveld, 2014; Kiverstein & Rietveld, 2015; Rietveld & Brouwers, in press). It is not an exceptional type of cognition, but the norm. the human environment is highly resourceful and contributes to skillful action and cognition in a far more fundamental way than is generally acknowledged within philosophy and cognitive science. The overarching aim of my philosophical ERC-project for the next five years is to develop an affordance-based conceptual framework of what I will refer to as skilled intentionality. This Skilled Intentionality Framework (SIF) will significantly extend the scope of embodied/enactive cognitive science (Thompson, 2007; Chemero, 2009; Noë, 2012; Di Paolo et al., 2010; Hutto & Myin, 2012), integrating both ‘lower’ and ‘higher’ cognition. My ambitious longer term (year 2025) aim is to investigate if, starting from our improved definition of affordances, it is possible to understand the entire spectrum of things that people do skillfully in terms of one conceptual framework, that of selective engagement with multiple affordances simultaneously (i.e. the SIF). In a series of papers I have together with the people in my VIDI-research group indicated how such responsiveness to affordances can be analyzed at multiple levels: philosophical/phenomenological, ecological/biological, affective, and neural (Rietveld, 2008a/b, 2010, 2014; Rietveld & Kiverstein, 2014; Frijda, Ridderinkhof & Rietveld, 2014; Rietveld, De Haan & Denys, 2013; De Haan, Rietveld, Stokhof & Denys, 2013; Bruineberg & Rietveld, 2014). The results are promising and we are now in a position to take the next step: linking the different fields of research and investigating multiple time-scales. All sorts of activities – both actions in everyday life and episodes of expertise – are forms of skilled engagement with the environment and can be understood in terms of responsiveness to relevant affordances. A central idea in my approach is that the landscape of affordances that surrounds us is much richer than is generally assumed. This central idea stems from of a new Wittgensteinian interpretation of Gibson’s (1979) notion of affordances (Rietveld & Kiverstein, 2014; cf. Chemero, 2009). I argue for a definition of affordances as relations between (a) aspects of the (socio)material environment in flux, and (b) abilities available in a ‘form of life’ (Wittgenstein, 1953), which includes socio-cultural practices in our human ecological niche. The resourcefulness of the landscape of affordances in this niche has everything to do with the wide variety of both the environmental aspects and the abilities and practices we have for engaging with our environment. Traditionally in philosophy and cognitive science, so-called ‘higher’ cognitive capacities have been associated more with types of rationality and decision-making tied to language, than with unreflective action. This has left the characteristic phenomenon of context-sensitive intuitive expertise unexplained (Varela, 1992/1999; Haselager & Van Rappard, 1998; Mesquita et al., 2010; cf. Wheeler, 2005). Crucially, the Skilled Intentionality Framework (SIF) makes it possible to apply findings that were thought to be exclusively valid for everyday skillful unreflective action to skillful ‘higher’ cognition, including linguistic and reflective activities, which can also be analyzed as skilled responsiveness to a rich landscape of affordances. Figure: Sketch of SIF, the framework to be developed. Skilled intentionality is the tendency towards grip on a field of relevant affordances in flux. Numbers refer to the different (sub)projects to be carried out. Note that level of the ecological niche (the landscape of affordances on the left) is related to the active individual and her states of bodily action readiness (on the right) via the phenomenological notion of the field of relevant affordances (in the middle of the figure). Adapted from Rietveld, 2013; Bruineberg & Rietveld, 2014. A central idea behind my research over the last decade has been that a person typically tends towards an optimal grip (Merleau-Ponty, 1945/2002; Dreyfus, 2005; Dreyfus & Kelly, 2007; Rietveld, 2008c, 2012, 2013) on the various relevant affordances encountered in a particular situation. To a person with the necessary skills, Jelle Bruineberg and I (2014) have suggested, a relevant affordance generates a state of bodily ‘action readiness’ (cf. Frijda, 2007). We can understand the tendency toward an optimal grip on the situation as the tendency toward an optimal metastable attunement to the dynamics of an environment in flux (Bruineberg & Rietveld, 2014; cf. Hristovski, Davids, and Araujo, 2009; Freeman, 2000). This optimal readiness to switch rapidly between behavioral patterns is both functional with respect to the demands of the environment and the needs or concerns of the organism in the particular situation. In the ERC project the research team will show and develop SIF’s relevance for contextualizing Karl Friston’s (2011; 1997) work on the metastable and anticipating brain, and apply it in the domain of enactive architecture and public health in collaboration with the multidisciplinary practice RAAAF [Rietveld Architecture-Art-Affordances]. The Skilled Intentionality Framework is innovative in integrating several carefully developed concepts that together succeed in relating findings established at several complementary levels of analysis: philosophy/phenomenology, ecological psychology, affective science and neurodynamics. Relevant affordance related states of action readiness are of central importance in this framework. Empirical findings on affordance responsiveness thought to be exclusively valid for everyday unreflective action can now be used to explain skilled ‘higher’ cognition as well. Moreover, SIF brings both the context and the social back into cognitive science in a fundamental way, namely via the notion of the landscape of affordances in which our actions are situated. SIF will radically widen the scope of the increasingly influential field of embodied/enactive cognitive science. Bruineberg, J. & Rietveld, E. (2014) Self-organization, free energy minimization, and optimal grip on a field of affordances. Frontiers in Human Neuroscience 8 (599), pp. 1-14. Chemero, A. (2009), Radical Embodied Cognitive Science. Cambridge, MA: MIT Press. Costall, A. (1995), Socializing affordances. Theory & Psychology 5 (4), pp. 467-481. Davids, K., Araújo, D., Hristovski, R., Passos, P., & Chow, J. Y. (2012), Ecological dynamics and motor learning design in sport. In N. H. Mark Williams (Ed. ), Skill acquisition in sport: Research, theory & practice. London: Routledge, 2nd ed., pp. 112-130. De Haan, S., Rietveld, E., Stokhof, M. & Denys, D. (2013). The phenomenology of deep brain stimulation-induced changes in OCD: an enactive affordance-based model. Frontiers in Human Neuroscience 7 (653), pp. 1-14. Di Paolo, E.A., Rohde, M., & De Jaegher, H. (2010), Horizons for the enactive mind: Values, social interaction, and play. In Steward, J., Gapenne, O. & Di Paolo, E.A. (eds. ), Enaction: Toward a New Paradigm for Cognitive Science. Cambridge, MA: MIT Press, pp. 33-87. Dreyfus, H.L. (2008), Why Heideggerian AI failed and how fixing it would require making it more Heideggerian. In Husbands, P., Holland, O. & Wheeler, M. (eds), The Mechanical Mind in History. Cambridge, MA: MIT Press, pp. 331-71. Dreyfus, H.L. & Kelly, S.D. (2007), Heterophenomenology: Heavy-handed sleight-of-hand. Phenomenology and the Cognitive Sciences 6 (1-2), pp. 45-55. Freeman, W.J. (2000), How Brains Make Up Their Minds. New York: Columbia University Press. Frijda, N.H. (2007), The Laws of Emotion. Mahwah, NJ: Lawrence Erlbaum Associates, Inc.
Frijda, N.H., Ridderinkhof, K.R. & Rietveld, E. (2014), Impulsive action: emotional impulses and their control. Frontiers in Psychology 5 (518), pp. 1-9. Friston, K.J. (1997), Transients, metastability, and neuronal dynamics. Neuroimage 5 (2), pp. 164-171. Friston, K.J. (2011), Embodied inference.In Tschacher, W. & Bergomi, C. (eds. ), The Implications of Embodiment (Cognition and Communication). Exeter: Imprint Academic, pp. 89-125. Gibson, J.J. (1979), The Ecological Approach to Visual Perception. Boston: Houghton Lifflin. Haselager, W.F.G. & Van Rappard, J.F.H., (1998), Connectionism, Systematicity, and the Frame Problem. Minds and Machines 8 (2), pp. 161-79. Heft, H. (2001), Ecological Psychology in Context: James Gibson, Roger Barker, and the Legacy of William James’s Radical Empiricism. Hillsdale, NJ: Lawrence Erlbaum Associates. Hristovski, R., Davids, K. W., and Araujo, D. (2009), “Information for regulating action in sport: metastability and emergence of tactical solutions under ecological constraints,” in D. Araujo et al. (eds. ), Perspectives on Cognition and Action in Sport. Hauppauge: Nova Science, 1st Ed., pp. 43–57. Hutto, D. & Myin, E. (2012), Radicalizing Enactivism: Basic Minds Without Content. Cambrige: MIT Press. Ingold, T. (2013), Making: Anthropology, Archaeology, Art and Architecture. New York: Routledge. Klaassen, P., Rietveld, E. & Topal, J. (2010), Inviting complementary perspectives on situated normativity in everyday life. Phenomenology and the Cognitive Sciences 9 (1), pp. 53-73. Kiverstein, J. & Rietveld, E. (forthcoming 2015) The Primacy of Skilled Intentionality: On Hutto & Satne’s The Natural Origins of Content. Philosophia 43 (3). Merleau-Ponty, M. (1945/2002), Phenomenology of Perception (Smith, C., trans.). London: Routledge. Mesquita, B., Barrett, L.F. & Smith E.R. (2010), The Mind in Context. London: Guilford Press. Reed, E. S. (1996), Encountering the world: Toward an ecological psychology. Oxford: Oxford University Press. Rietveld, E. (2008a), Situated normativity: The normative aspect of embodied cognition in unreflective action. Mind 117 (468), pp. 973-1001. Rietveld, E. (2008b), The skillful body as a concernful system of possible actions: Phenomena and neurodynamics. Theory & Psychology 18 (3), pp. 341-363. Rietveld, E. (2008c), Unreflective Action. A Philosophical Contribution to Integrative Neuroscience. University of Amsterdam Dissertation. Amsterdam: ILLC-Dissertation Series DS-2008-05. Rietveld, E. (2010), McDowell and Dreyfus on unreflective action. Inquiry 53 (2), pp. 183-207. Rietveld, E. (2012), Bodily intentionality and social affordances in context, in Paglieri, F. (ed.) Consciousness in Interaction. The Role of the Natural and Social Context in Shaping Consciousness. Amsterdam: J. Benjamins, pp. 207-226. Rietveld, E. (2013). Skilled intentionality for ‘higher’ cognition. unpublished lecture at conference. The Reach of REC, Antwerp, June 18th 2013. Rietveld, E. (2013), Affordances & unreflective freedom, in Moran, D. & Thybo Jensen, R. (eds.) Embodied Subjectivity. New-York: Springer. Rietveld, E. & Brouwers, A.A. (2016) Optimal grip on affordances in architectural design practices: An ethnography. Phenomenology and the Cognitive Sciences, doi: 10.1007/s11097-016-9475-x See also this earlier post. Rietveld, E. & Kiverstein, J. (2014). A rich landscape of affordances. Ecological Psychology 26 (4), pp. 325-352. Rietveld, E., De Haan, S. & Denys, D. (2013). Social affordances in context: What is it that we are bodily responsive to? Invited commentary article on Leo Schilbach et al. BBS, Behavioral and Brain Sciences, p. 436. Rietveld, E., Rietveld, R., Mackic, A., Van Waalwijk van Doorn, E., Bervoets, B. (2015), The End of Sitting, Harvard Design Magazine 40, pp. 180-181. See also this earlier post. Thompson, E. (2007), Mind in Life: Biology, Phenomenology, and the Sciences of Mind. Cambridge MA: The Belknap Press of Harvard University Press. Varela, F.J. (1992/1999), Ethical Know-How: Action, Wisdom, and Cognition. Stanford: SUP. Wheeler, M. (2005), Reconstructing the Cognitive World: The Next Step. Cambridge, MA: MIT Press. Wittgenstein, L. (1953), Philosophical Investigations. Oxford: Blackwell. Recently five new papers by our research group have been accepted for publication. These are part of my philosophical VIDI-project ‘The Landscape of Affordances: Situating the Embobied Mind’. De Haan, S., Rietveld, E., Stokhof, M. & Denys, D. (2015) Effects of Deep Brain Stimulation on the lived experience of Obsessive-Compulsive Disorder patients: In-depth interviews with 18 patients. PLoS ONE 10(8), pp. 1-29. doi:10.1371/journal.pone.0135524. Van Westen, M., Rietveld, E., Figee, M. & Denys, D. (2015) Clinical outcome and mechanisms of deep brain stimulation for obsessive-compulsive disorder. Current Behavioral Neuroscience Reports (2), pp. 41-48. Earlier I wrote brief posts on the enactive ethnography of skilled intentionality here and on the Harvard Design Magazine publication here. Our enactive architectural art installation The End of Sitting (by RAAAF | Barbara Visser) won an important international prize in the world of interior architecture and industrial design: The Great Indoors Award! International reviews and media attention of our enactive art installation can be found here. TEDx and other upcoming invited lectures, exhibitions & new publications. University of Cambridge, Centre for Research in the Arts, Social Sciences and Humanities. The skillful body and affordances for material mimesis. December 17-18, 2015. Bi-City Biennale of Architecture/Urbanism Shenzhen and Hong Kong’s Aformal Academy, December 6, 2015. Keynote at Society for Phenomenological Philosophy, Amsterdam, Nov. 7th, 2015. Exhibition on RAAAF’s work.French Architecture Instititute. Platform for artistic creation, Cité de l’architecture, Paris. Opening and debate with TVK, 22/10/2015. University of Cincinnati, The Rich Landscape of Affordances. Workshop title: ‘Affordances and brain-body-environment-systems‘, October 8, 2015. With a.o. Randall Beer, Tony Chemero and Harry Heft. Chicago Architecture Biennial, Exhibition with RAAAF. October 1, 2015-January 3, 2016. Radboud University, Neurophilosophy, August 12, 2015. Stockholm Business School, Symposium on Innovation, Embodiment & Sociomateriality. The Skilled Intentionality Framework for Innovation in Context. May 22-23, 2015. 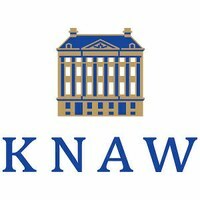 Society of Arts, Royal Netherlands Academy of Arts & Sciences (KNAW)/Looiersgracht 60. The End of Sitting 1:1 – A Projection. March 23, 2015. (in Dutch). On March 23 2015, the Society of Arts of the Royal Dutch Academy of Arts & Science (KNAW) organized a night around Barbara Visser’s movie on our joint project The End of Sitting in collaboration with Looiersgracht 60. The title of her movie is The End of Siting 1:1 – A projection. This movie uses the audio recordings of two expert meetings I organized last November in Amsterdam to discuss this new enactive art installation.